What can this session specifically do to help you feel great and stay calm during the most important nine months of your life? 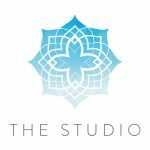 One of the main benefits of pregnancy yoga is that it can help minimize the aches and pains of those beautiful nine months, and a key technique to bringing your body back to a toned condition after delivery. Why join this class ? During pregnancy your body goes through many changes, which creates stress on you mentally and physically. These classes are a great way to maintain a healthy mind and body. They also help you to develop proper breathing and relaxation techniques for easier and more comfortable labor. Soothe your mind with us as you prep your body for childbirth. 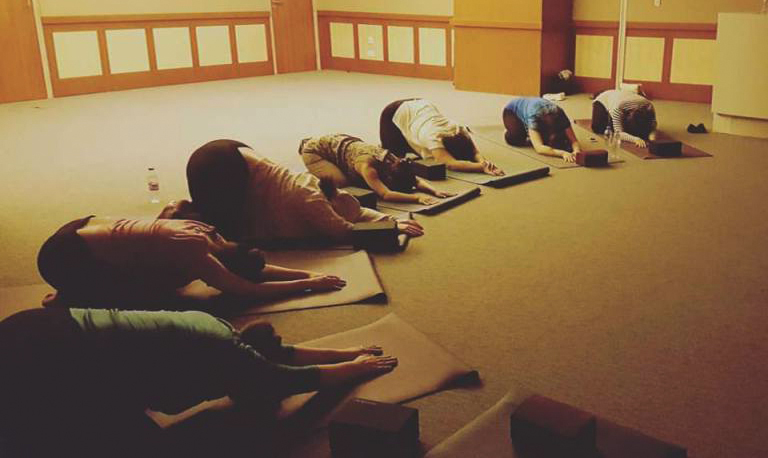 Our prenatal yoga sessions are more than just a physical sequence. We teach woman to connect more fully to the life growing within her. ALSO, MAKING NEW FRIENDS! These classes are a great way to meet other pregnant women and to become part of a community. Being in a positive, supportive environment with others can give you a regular emotional boost and keep you motivated to continue exercising. Are you a new Mommy? Are you feeling anxious to get back to your pre-pregnancy body? As a mother, you find yourself putting the demands of your children before your own. Some may even feel selfish taking care of their own needs, when they could be watching their baby at their most precious moments. And that’s where the biggest challenge comes; getting back into a workout mode after the arrival of your angel. The simplest solution, then, is to take care of both needs at the same time. Easier said than done? With Mommy and baby yoga, Inner Seed got the best solution for you! This class allows you play with your baby (an important part of learning) and get some exercise at the same time. Fun, right? 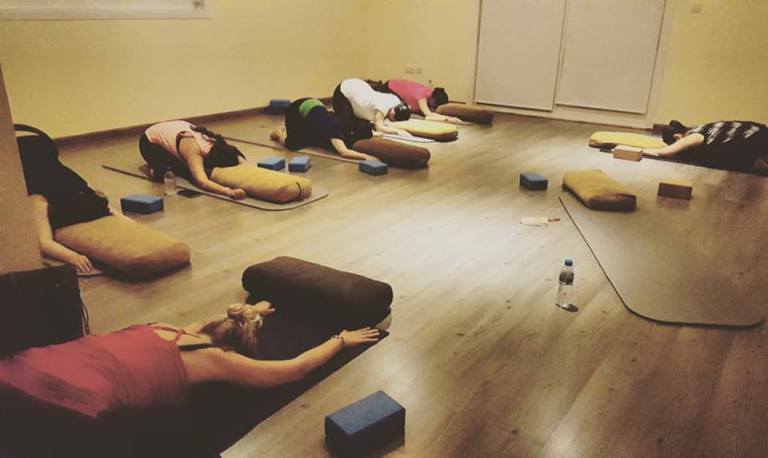 What can you expect from a Mommy & Baby class? Yoga experience: You don’t need any yoga experience to practice Mommy & Baby yoga! When to attend? We suggest that you wait until your baby is 6 weeks old before you practice Mommy & Baby Yoga if you had a natural birth (longer if you had a caesarean, let your Doctor know before starting any excercices. 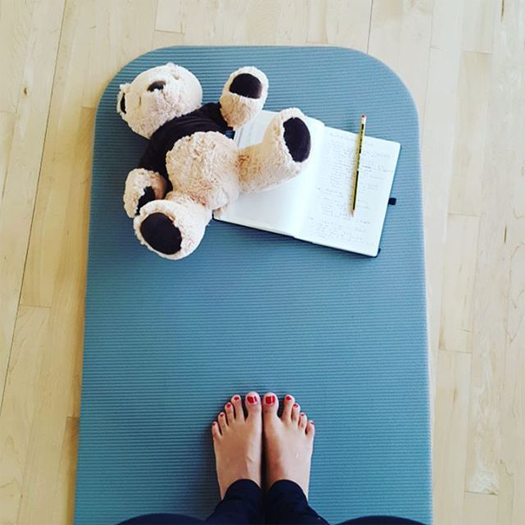 Joining this class: You are welcome at the classes until your baby is 8 months old or when they start crawling and it becomes too challenging for you to practice as they visit somebody else’s mat. We are located at Villa 42 along Corniche Road, between 6th Street and Al Bateen Street (32nd) and just a couple of doors down from the Third Street Cafe. Mum&Baby yoga every Wednesday 10am at Kidz Venture Nursery, Mangrove Village Abu Dhabi.